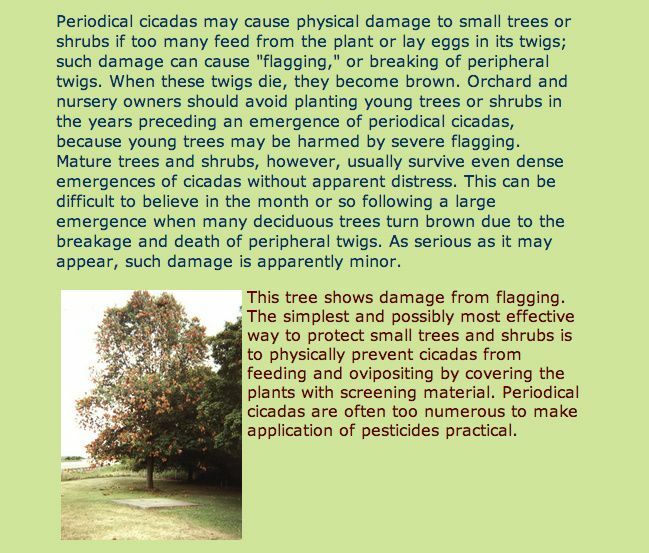 This is the year the 17 year Magicicada periodical cicadas emerge. While the idea of a massive creepy crawly invasion tends to make me a little squirmy – the actual story behind the cicadas is really an impressive one. Butch and I, both, simply loved it. Samuel currently has over 200 plus hours of footage, and is working towards an hour documentary, anticipated in 2014, that will broadcast on PBS. If you enjoyed the video, you can help support the funding for this film project by visiting Kickstarter. 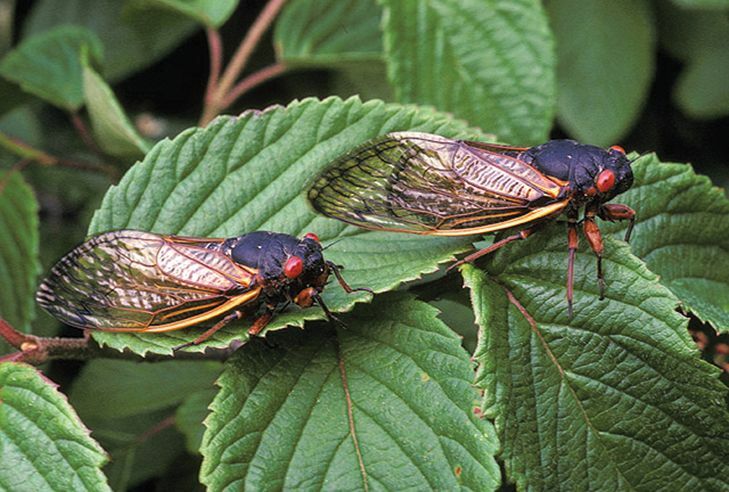 The Magicicada cicadas are set to emerge along the Eastern Seaboard this year once the soil temperatures reach 64 degrees. 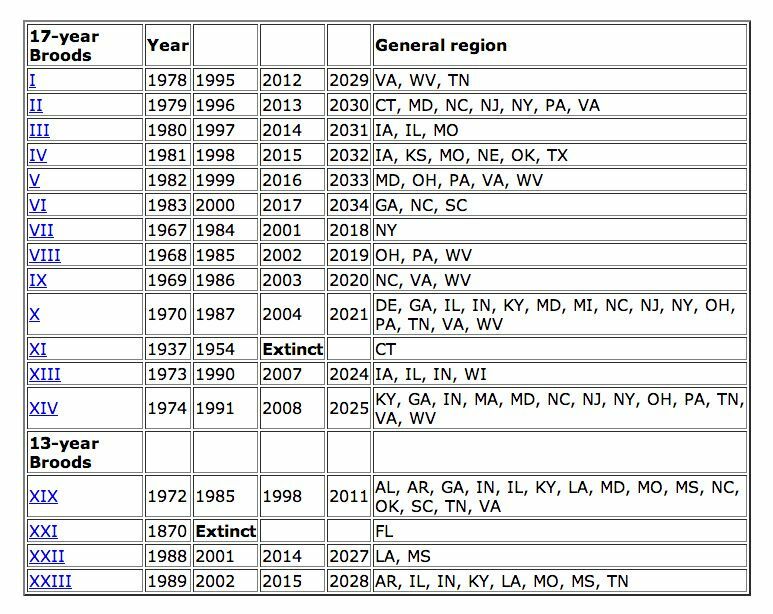 The chart below, from magicicada, shows the predicted states in which they will be making their appearance. I thought the video was just too cool not to share – not to mention, it opened my eyes to the incredible journey of the cicadas and the remarkable story behind them. With trillions due to appear over the next couple weeks – have you seen any in your area? I heard one last night, then it was quiet. Lucky me, I just planted a crab apple tree earlier this spring. Thank you for the video. It was really interesting. I don’t hear many on Long Island but we went to the Country Living Fair on Sunday and I was amazed at the noise they made! The trees were alive with the humming of the cicadas, it was very cool! That was an amazing video; however, I shouldn’t have watched it while I was eating breakfast. LOL. I do love the sound of cicadas. As a child we used to take the shells and wear them like brooches on our clothing. After watching the video I am speechless. I have these little guys in my garden every year. I never new it took 17yrs for them to emerge. I will make sure that my family see’s this video to understand them better. By the way I live in Nevada. We had the cicadas last year in Nashville-even our flood in 2010 did not deter their efforts. subject matter and I hope to see it on PBS in the future. Thanks for posting this. Looking forward to their return in 2029.